Unpowered site nightly rate: $24 per night (includes 2 people). Extra adult $12 per night, child (5-15yrs) $6 per night. Infants (0-4yrs) free. Powered site nightly rate: $34 per night (includes 2 people). Extra adult $17 per night, child (5-15yrs) $8.50 per night. Infants (0-4yrs) free. Check in after 12pm. Check out before 11am. Fees may apply for late check outs. You'll need to check in to the on-site office on arrival. Check the whiteboard if the office is unattended. 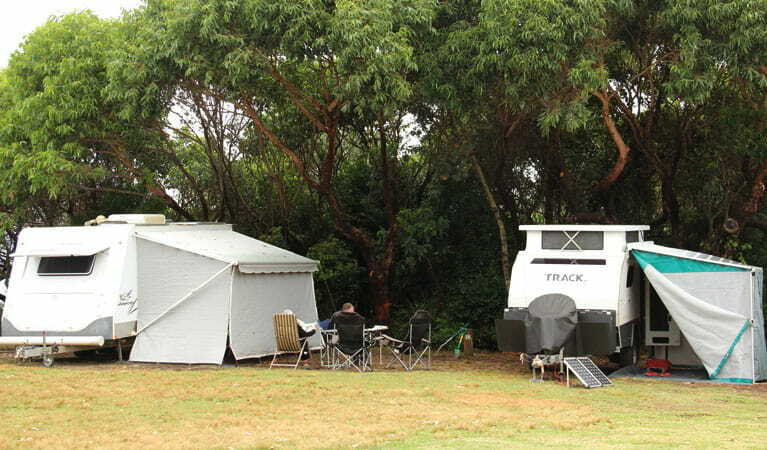 Cabins are also available at Pretty Beach cabins. 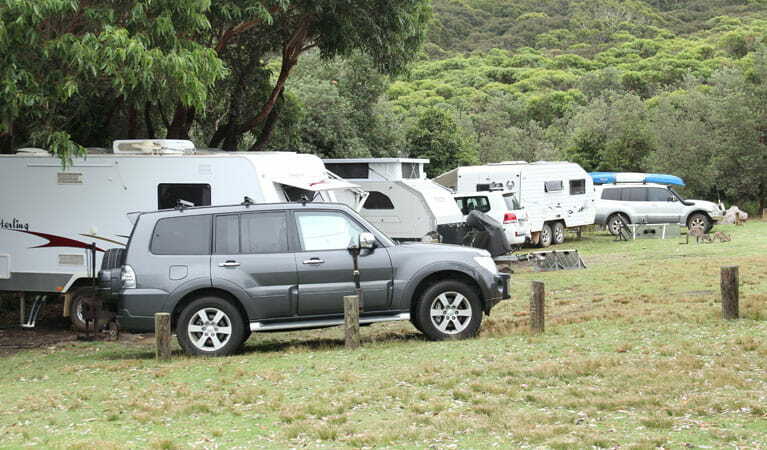 This spacious campground is set in an idyllic location, with lovely views out over Pretty Beach and along the coast. 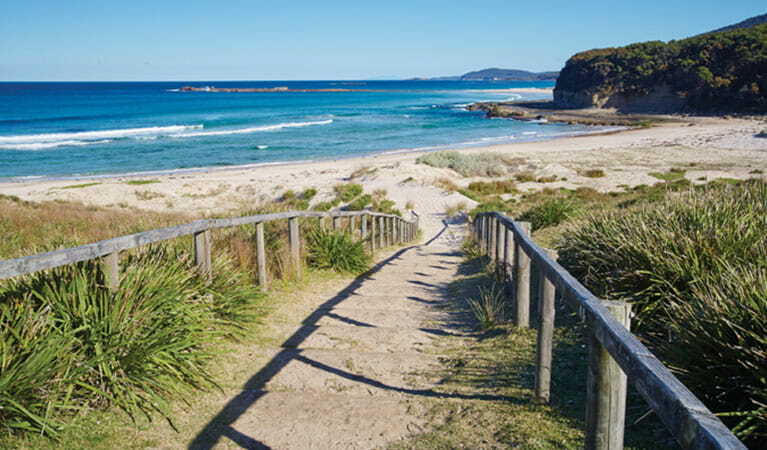 It’s a peaceful place to base yourself for explorations around Durras Mountain and Snapper Point within Murramarang National Park. 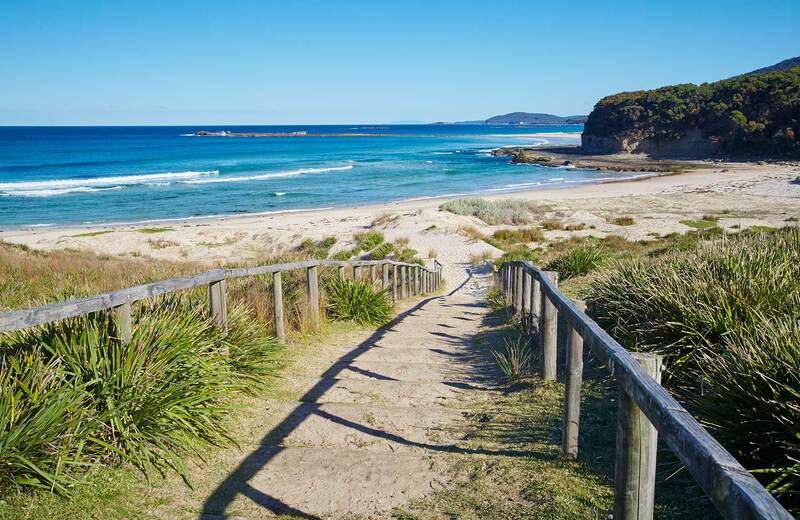 You can enjoy long coastal walks, birdwatching, swimming in the ocean, sunbathing, fishing, and even whale watching at certain times of the year. 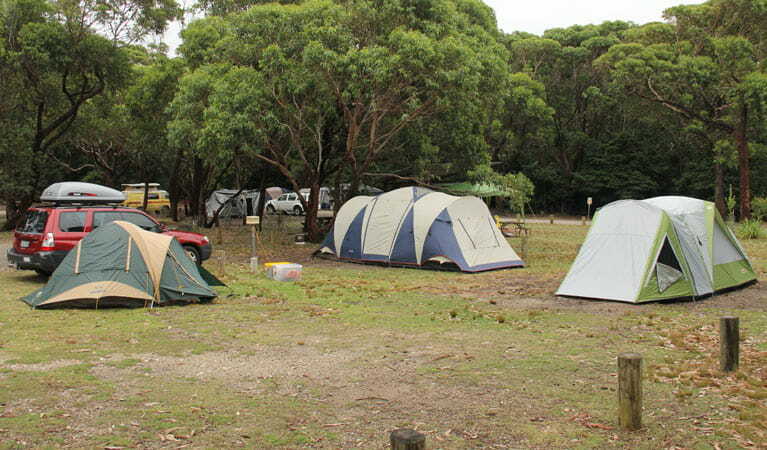 Pretty Beach campground has numerous tent sites, many with power, and if you don’t feel like tent camping, there are even a couple of cabins. 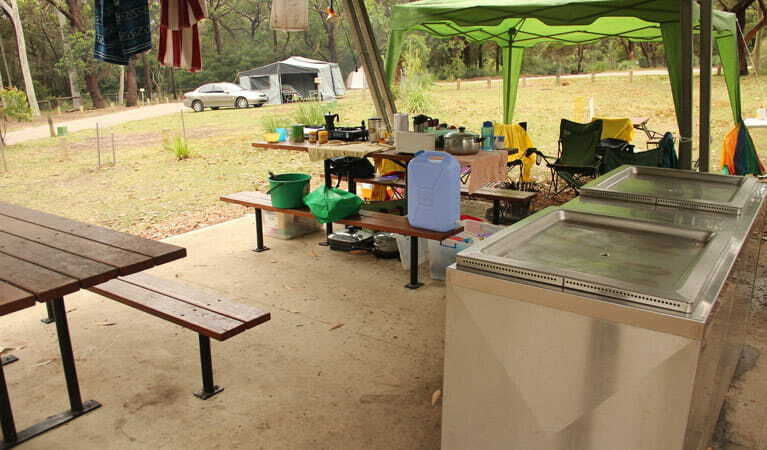 It’s a well-equipped campground with hot showers, laundry facilities, sheltered electric barbecues and some small wood barbecues. 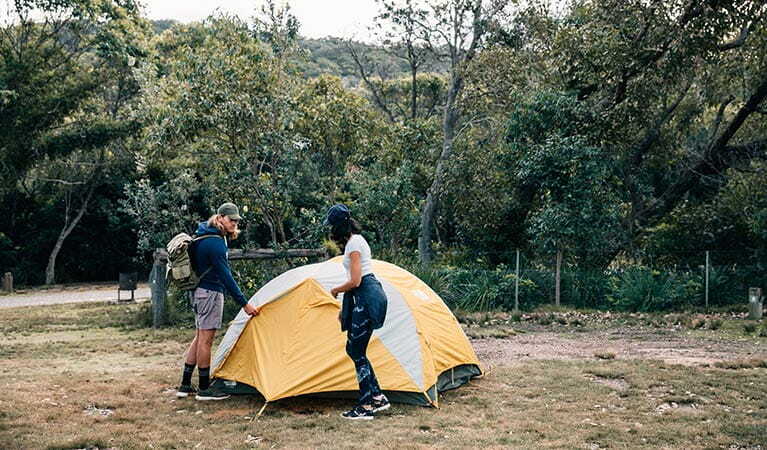 All year round, you’ll be able to enjoy watching kangaroos grazing in nearby open spaces, as well as spotting lyrebirds, possums, gliders, Jacky lizards, and goannas.